The Sisters of the Order of St. Basil the Great of Our Lady of Perpetual Help Province in Uniontown, Pennsylvania, are a Byzantine Catholic community of women religious who seek to glorify God by living the gospel way of life through a vowed commitment of Chastity, Poverty and Obedience, praising God in the Divine Liturgy, in Psalmody, and by a personal prayer life. As an Order of the Eastern Church, they are formed in its tradition, discipline, and spirituality. The Sisters respond in sensitivity and service to the needs of the Church and of the people, particularly those of the Byzantine Church. 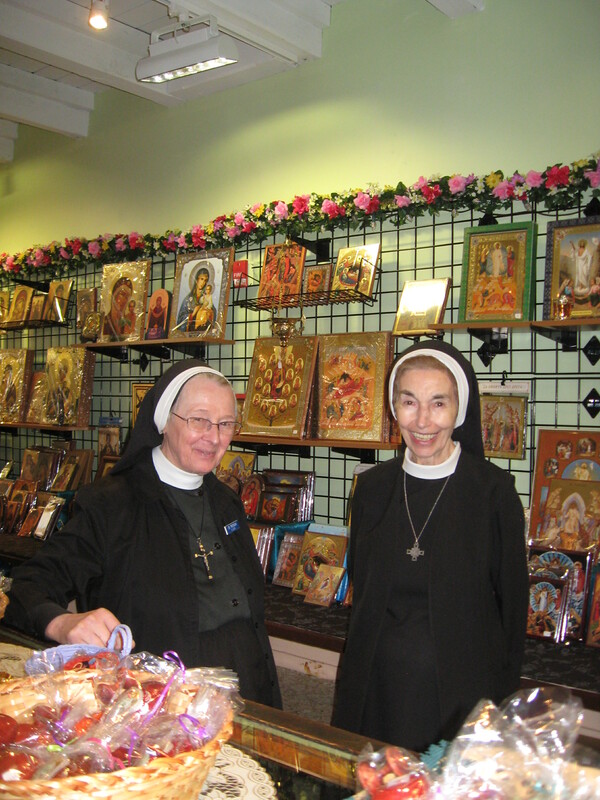 Their apostolates encompass prayer ministry, education, communications, cultural and heritage studies, translation and publication of liturgical books, religious education and organizational work, iconography and fine arts, health-related services, retreat work, social and pastoral ministry, ecclesiastical arts and sewing, and the Pilgrimage. Sisters also serve in the Chanceries of the various Byzantine Catholic Eparchies (Dioceses), and in the Generalate, their headquarters in Rome.